Among a great amount of Endorphina games players have to pay attention to The Vikings slot machine where they will meet Scandinavian sailors, celebrated for fearlessness and bellicosity. Here you will have the opportunity to feel yourself as the real Viking warrior in the sea campaign across the icebergs of the ocean. Passing through many dangers, you will be awarded by profitable prizes in the frame of main game and Bonuses. Begin your thrilling adventure, playing The Vikings online slot for free or real money. The Vikings video slot will meet players by the cool winter landscapes that combined with animations and heroic musical background. Fans of battles and warrior storylines will like Game of Thrones slot machine online that presents 18 Free Spins and multipliers. Among the gaming symbols of The Vikings free online slot you will face the pictures of Vikings, weapon, jewels, horses and playing cards. This list is the main type that will be the basic for creation of winning combinations. In order to complete and diversify the common playing process Endorphina provides for special Wild and Scatter symbols. Wild is represented as the Viking’s ship that is able to replace other patterns except for Scatter. In Bonus Free Games Wild will have advanced structure - Stacked Wild. 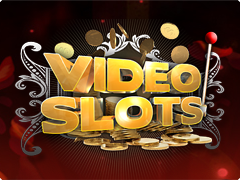 Scatter symbols do not take part in creation of winning combinations but trigger Bonus Free Spins. You have to collect 3 Scatters in order to get Bonus Feature. Getting the access to prized feature, player will totally increase the winning chances. Of course, the main component includes 12 Free Spins with multiplier x2. Getting the min prize in the main game, players can try chances in Gamble Feature. All you have to do is to guess the card’s value.